Smart marketing, digital innovation and a focus on excellence enabled Argo Seguros to receive the title of Brazil Insurer of the Year in the annual Reactions Latin American Awards. Presented by insurance industry magazine Reactions, the awards celebrate companies that stand out in the region’s re/insurance sector. Reactions points out that Latin America is home to one of the fastest growing markets in the world. Argo Seguros seems to be on a similar growth curve. According to the company’s CEO Pedro Purm, his team has become well known for three things: identifying untapped markets, creating a new way to conduct business and providing superior coverage in a highly competitive field. Argo Seguros jumped into the Brazilian market just five years ago with a sharp focus on errors and omissions (E&O) coverage — an area few other insurers in the country were targeting. As a result, the start-up came to be known as one of the leading Brazilian E&O providers. 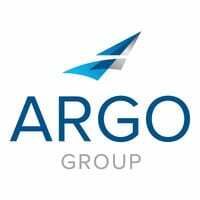 As well, Argo Seguros has established a strong presence in cargo and marine insurance, even though many larger organizations have been in that market for decades. Purm says Argo Seguros competes by offering relevant products and by working to ensure its services outperform those of other carriers. This is only one of many awards Argo Seguros has received for its innovative and collaborative work. Most recently in August 2016, the company was named Best Insurer in Commercial Lines at the LatAm Insurance Review Brazilian Insurance Awards, recognizing companies and individuals that deliver exceptional services and solutions to Brazil’s corporate insurance sector.